As some readers know www.mobile-review.com hosted my four podcasts "For Sound". I decided to make a pause at the moment, but may return to this undertaking in the future. Today I will speak about my experience in finding a proper microphone and general issues of podcasts recording. May be you will find something new and decide indulging in recording yourself. Apart from the computer we need a microphone. I could have started from a super expensive (for mortal people) sound card E-MU 0404 USB coupled with a professional headset AKG HSC 271. This kit would have cost around $800 for a convenient package with decent sound quality. Nevertheless I wanted to look at more reasonable options in the low-end segment. 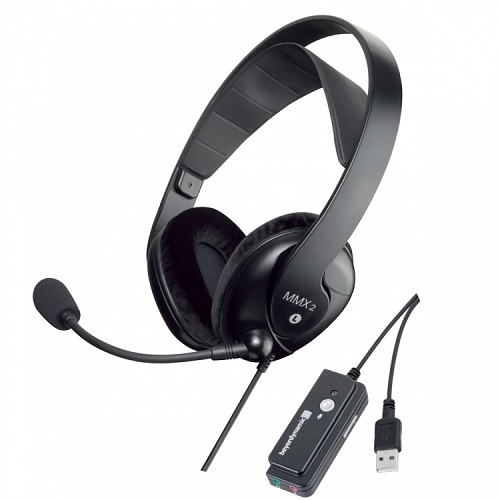 I found out that much cheaper solutions are available as well in the form of multimedia headsets connected to a PC through USB port. 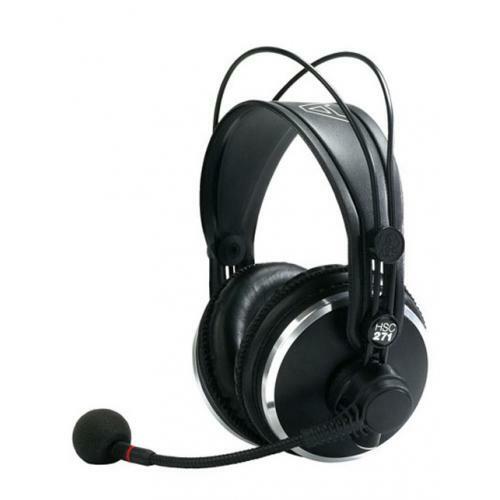 You get an all-in-one solution: sound card, headphones and microphone. After a bit of heart searching I ended up with beyerdynamic MMX 2 due to brand loyalty. As always a cheapskate pays twice. For $115 I received low quality headphones, a microphone with low sensitivity and high quality noise recording together with a USB sound card, which did not allow a maximum sound on a PC, so I had to use another laptop. The end product was below average. Weak and flat sound with squeaking was recorded against a noisy background of a microphone or amplifier. The result is good enough for computer games and voice chats, but that's it. Luckily I could return it to www.doctorhead.ru, where I purchased this device. Then I started looking for a microphone and decided to go for Samson Go Mic. This condenser USB microphone works without delays and has a switch for polar patterns and amplifying conditions. In the box I found a case and a clip to fix the device at the laptop screen. The clip is also used as a pedestal. Traditionally, this model is not sold in Russia, but I managed to find a person who could get it in Moscow. I paid $82 for this quality device. If you order from eBay some money can be saved. While I was looking for Samson Aleksey Ikonnikov gave me a Lexicon Alpha sound card and a legendary Shure SM58 microphone. I did not have a pedestal for the microphone and had to keep it in hands, which is not convenient. The result offered by a sound card and a good microphone is rather high. 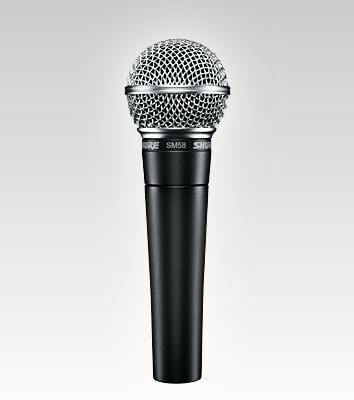 The system was quite large and I had no remorse about switching to Samson Go Mic together with Ultimate Ears UE11PRO. I used Audacity as the simplest recording app. It is free and can be used in personal or commercial purposes. I would also like to cover the issue of podcasts recording. At first I did not use show notes, but in issue 3 I started resorting to it. The bigger it is the more convenient it is to make a recording. You can prepare the notes before recording and then make the necessary changes. Anyway, when you record a podcast and lose the trace of thoughts it is better to stop and rework the recorded section. When your mind is having a rest you can cut pauses, unnecessary sounds or even record again. You do not have to be fanatic, but polishing the recording is necessary. Without any prior experience in Audacity I managed to clean a 20 minute section within one hour. 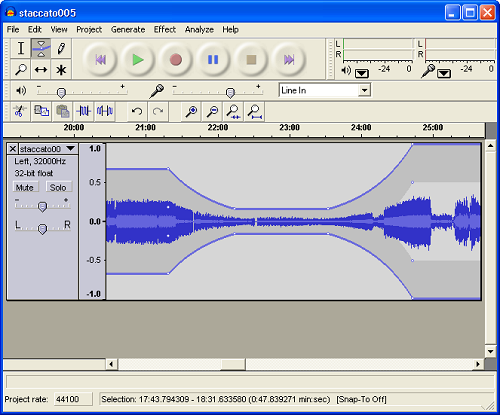 It is useful to listen to the recording before uploading it. Another advice is connected with the fact that any microphone catches external sounds. So, close the door and windows. Ideally, you need a laptop with quiet (or passive) cooling system. 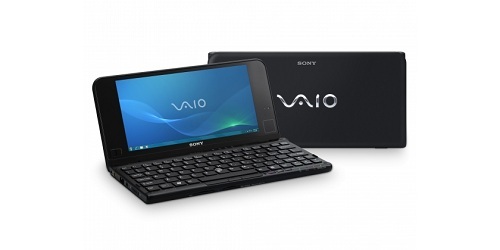 I employed Sony P and the only complaint is a temporary swallowing of recording due to slow Atom processor. Don't be surprised by coupling on audio tract and use a recording monitoring not to miss these issues. It is better to make a new recording of one section than to do the recording anew. You only need to lay the USB or microphone cable differently. 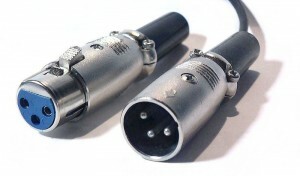 Professional equipment and XLR cables help to void these problems. If possible earth the equipment to get rid of parasite humming in the recording. 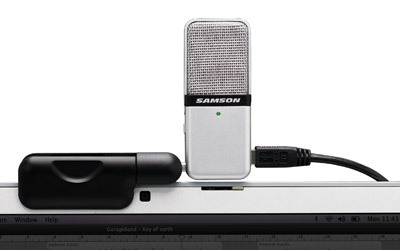 Another alternative is a laptop or external USB microphone.